Trees have the ability to capture and remove pollutants from the soil and degrade them through natural processes in the plant. It’s a feat of nature companies have used to help clean up polluted sites, though only in small-scale projects. Now, a probiotic bacteria for trees can boost the speed and effectiveness of this natural cycle, providing a microbial partner to help protect trees from the toxic effects of the pollutants and break down the toxic pollutants plants bring in from contaminated groundwater. 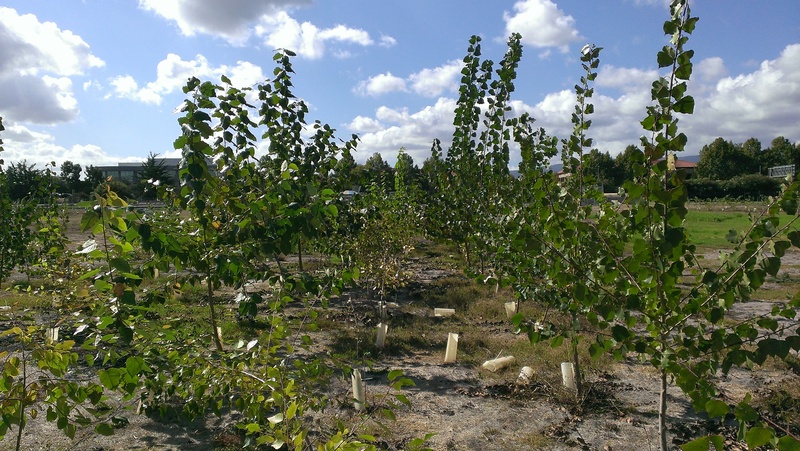 Researchers from the University of Washington and several small companies have conducted the first large-scale experiment on a Superfund site using poplar trees fortified with a probiotic — or natural microbe — to clean up groundwater contaminated with trichloroethylene (TCE), a common pollutant found in industrial areas that is harmful to humans when ingested through water or inhaled from the air. Their results were published in final form Aug. 11 in the journal Environmental Science & Technology. The successful field trial could be a game changer to quickly and effectively clean up Superfund sites around the country and polluted sites abroad that have high levels of TCE, the authors say. Contaminated sites containing TCE and other pollutants can be expensive to clean up when using engineering methods such as excavating or pumping toxic pollutants from underground. As a result, many sites sit untreated. This new method allows contaminated sites to be dealt with more effectively, often at lower costs, promoting human health. Doty’s lab worked to find the best microbe strain that could effectively break down TCE and boost tree growth. Jun Won Kang, a former UW graduate student, had obtained poplar wood from a site in the Midwest where trees were already growing in TCE-contaminated soil. After grinding down small samples of the trees and isolating over a hundred different microbes, each strain was then placed in a flask containing high levels of TCE. The microbe that ultimately was selected eliminated nearly all of the TCE in its flask. The researchers had a clear winner. The pollutant TCE has been used widely as a degreaser and a solvent in industrial manufacturing sites across the country. The U.S. Environmental Protection Agency cites TCE as one of the most common pollutants in soil or water, and it is present in more than 1,000 sites the agency lists as priorities for cleanup. TCE is a known carcinogen to humans, affecting the liver and even transferring the toxic pollutant to nursing babies through mothers’ breastmilk. Given the prevalence and toxicity of TCE, the researchers used the chemical to test the ability of poplar trees infused with microbes to clean up groundwater in the Middlefield-Ellis-Whisman Superfund research area in California’s Silicon Valley after it had subsequently flowed into the NASA Research Park at NASA’s Ames Research Center. 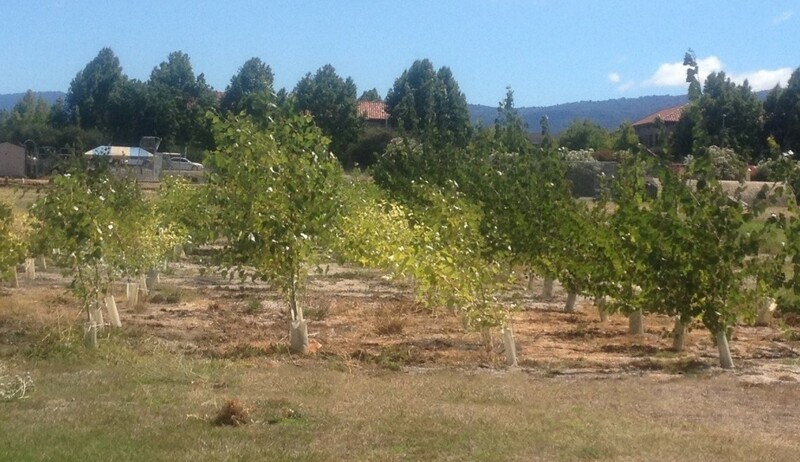 At NASA Ames, in coordination with NASA Ames’ Environmental Division, the researchers planted rows of young poplar trees — some inoculated with the specific microbe, and others without — on a field above a known groundwater plume contaminated with TCE. After only a year, the trees given the microbe were bigger and healthier than the poplars with no special treatment. After three years, the inoculated trees were still more robust, and a sample of tree trunks revealed greatly reduced levels of TCE inside the trees. When trees take up and degrade chemicals, called phytoremediation, it often comes at the expense of their own health. This manifests as stunted growth, yellow leaves, withering brown leaves and branches, and sometimes death as the pollutant hampers the tree’s ability to survive. But when the microbe selected specifically to deal with TCE is introduced, the trees destroyed the TCE — and experienced more robust growth and increased survival rates, clear benefits of the probiotic. Additionally, the researchers found that groundwater samples taken directly downstream from the test site showed much lower levels of the pollutant, compared with higher levels up-gradient from the testing area. They also found evidence of increased chloride in the soil around the poplar roots, a harmless, naturally occurring element and byproduct of TCE as it is degraded by the bacteria inside trees. A number of organizations have expressed interest in using this technology, said co-author John Freeman, chief science officer for Intrinsyx Technologies Corporation based at NASA’s Research Park. And landowners hampered by the high costs associated with traditional clean-up methods are starting to use the technology. Other co-authors are Christopher Cohu of Phytoremediation and Phytomining Consultants United; Joel Burken of Missouri University of Science and Technology; Andrea Firrincieli of Tuscia University in Italy; Andrew Simon of Edenspace Systems Corporation; Zareen Khan of the UW; Jud Isebrands of Environmental Forestry Consultants; and Joseph Lukas of Earth Resources Technology. The work was funded by the National Institutes of Health through a Small Business Innovation Research grant. Support for Doty’s research was also provided by the Byron and Alice Lockwood Foundation. For more information, contact Doty at sldoty@uw.edu or 206-616-6255; Blaylock at blaylock@edenspace.com or 703-961-8700; and Freeman at Jfreeman@intrinsyx.com or 650-210-9219.